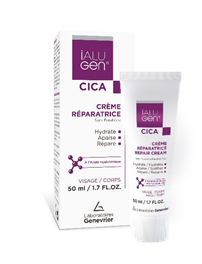 Laboratoires Genevrier launches ialugen® Cica, its range of skin repair cares : ialugen® Cica. This multi-purposes range aims to support families in their daily activities, repairing the skin from irritations, sunburns, chaps or other frequent cutaneous aggressions. 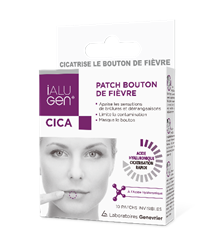 ialugen® Cica leans on the hydrating, repairing and soothing properties of the hyaluronic acid, an active with which our laboratories have been working for 30 years now.